Audition time!!!!. 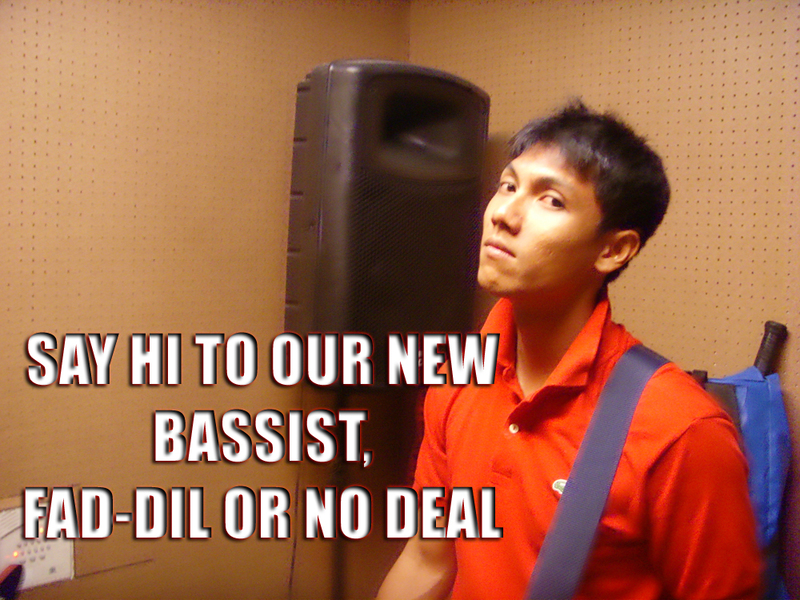 We’ve been jamming hard over the past few weeks and I must say that I’m impressed with how our new bassist progress. It’s not easy looking for a new bassist. I told myself that I won’t play bass again for the rest of my life! We will update you with the outcome and hopefully we will make it through to the semis. We are thinking of featuring FreakyZ in one of our tracks. I think it will be a good idea as we can start something new in our local scene. Over in the USA we have Kanye West feat Chris Martin, Fall Out Boy feat John Mayer and a whole lot more artist feat one another. It will be interesting if our local talents consider about it and I’m sure a lot of them will be interested.